'Miss Gladden', the first female detective, is a determined and resourceful figure, with ingenious skills of logic and deduction. Pursuing mysterious cases, she works undercover and only introduces herself as a detective when the need arises. Her personal circumstances and even her real name are never revealed. This obfuscation makes sense, considering that when The Female Detective was first published in 1864 there were no official female detectives in Britain--in fact, there were no women police officers either (and would not be for another 50 years). 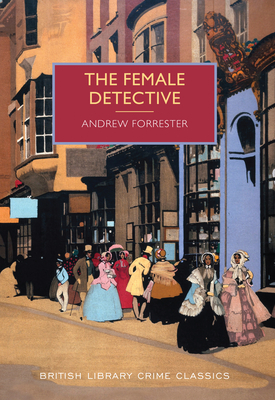 And the novel itself was well ahead of its time; further stories and novels featuring women detectives would not be widely published until the turn of the century. ANDREW FORRESTER was the pseudonym of James Redding Ware (1832-1909). Among his other books were Revelations of a Private Detective (1863), and Secret Service, or Recollections of a City Detective (1864).